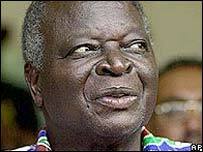 A Kenyan Government task force has recommended that President Mwai Kibaki form a truth commission to look into past human rights abuses and economic crimes. The 18-member task force said in its report that 90% of the Kenyans who submitted their views want President Kibaki's National Rainbow Coalition (Narc) government to establish an effective truth commission. The task force - appointed by Justice Minister Kiraitu Murungi in April to find out if Kenya wanted a truth and reconciliation commission - said that the commission should look into abuses and crimes committed since independence, 40 years ago. Mr Murungi said that Narc will act on the recommendations. "I want to state very openly and very clearly that we shall, as far as possible and within the resources available to us, find ways and means of implementing the recommendations of this task force," he said. Mr Murungi said that Kenyans wanted to know where the country went wrong, what atrocities were committed, who committed them and why they were committed. "We want to diagnose the disease that assailed the Kenyan state for the last 40 years or so," he said. The chairman of the task force, professor Makau wa Mutua warned against turning the commission into a tool for witch hunting. "The purpose of the truth commission is to build, not to destroy. It is to heal, not to cause disruption," said Professor Mutua. "It must not target any particular community nor should it be used to settle political scores," he said. Following Narc's landslide victory in last December's elections, former political prisoners - some of them members of the current Kenyan parliament - and other Kenyans renewed their demands for the investigation and prosecution of officials who served under former Presidents Jomo Kenyatta and Daniel arap Moi. Observers say some of those who served under the two former presidents are likely to be uncomfortable with the idea of the commission, which they suspect will target them. 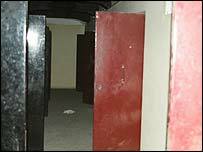 Many Kenyans are believed to have been tortured during Mr Moi's 24-year rule - 2,000 in the infamous Nyayo House in Nairobi alone. The use of torture became increasingly commonplace after the 1982 coup attempt, after which Mr Moi began to become increasingly concerned about political opposition.